South Caucasus Pipeline (SCP) is a gas exportation pipeline that transmits natural gas from the Shah Deniz field located in the Azeri Caspian Sea to Azerbaijan, Georgia and Turkey for distribution. The 692km-long pipeline started delivering gas to Azerbaijan and Georgia in September 2006. Delivery of gas to Turkey was started July 2007. The pipeline is now being expanded to accommodate additional gas from the second stage of the Shah Deniz (Shah Deniz Stage 2) development project. Upon its completion in 2017, the pipeline’s capacity will be increased by 16 billion cubic metres per annum (bcma) to 23bcma. The SCP is owned by South Caucasus Pipeline Company, a consortium of seven national and international energy companies which include BP (25.5%), the State Oil Company of Azerbaijan Republic (SOCAR, ten percent), Statoil (25.5%), Lukoil (ten percent), Naftiran Intertrade Company (NICO, ten percent), Total (ten percent) and the national oil and gas company of Turkey (TPAO, nine percent). BP is the technical operator and looks after the development and production activities, while Statoil is the commercial operator taking care of business development and administration activities related to the pipeline. 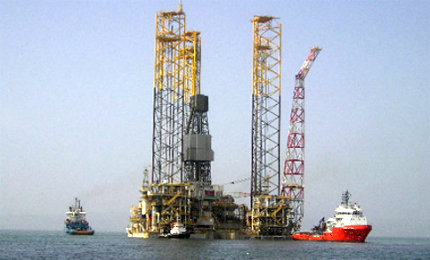 The SCP project was sanctioned for construction and operation as part of the Shah Deniz Stage 1 development in February 2003. The construction on the project was launched in 2004 and completed in the last quarter of 2006 with an investment of about $1bn. "The 692km-long pipeline started delivering gas to Azerbaijan and Georgia in September 2006." The pipeline runs parallel and proximate to Baku-Tbilisi-Ceyhan (BTC) crude oil pipeline. The SCP originates at the Sangachal Terminal, which is located approximately 45km south of Baku, and traverses Azerbaijan and Georgia before terminating at Erzurum in eastern Turkey. The lengths of Georgia’s and Turkey’s sections are 442km and 248km respectively. The pipeline is buried throughout the route and is designed for an operational life of 30 years. It has a diameter of 42in and is designed to transmit 7bcm of gas annually. It is protected against corrosion by applying a combination of three-layer polyethylene (PE) coating system and an impressed current cathodic protection (CP) system. In addition to the pipeline’s construction, the SCP project involved a number of above ground installations including two compressor stations (one each in Azerbaijan and Georgia), an intermediate pigging station (cleaning and inspection purposes) and 11 small block valves. 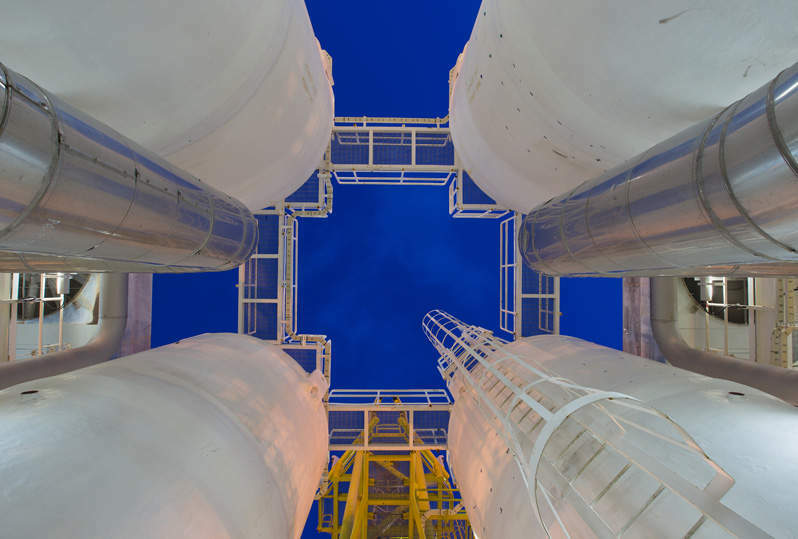 The SCP Expansion (SCPX) project is designed to increase the capacity of the South Caucasus pipeline from the existing 7bcma to 23bcma, to transmit the gas that will be produced by the second stage of Shah Deniz, which is currently under development. "The pipeline runs parallel and proximate to Baku-Tbilisi-Ceyhan (BTC) crude oil pipeline." In order to increase the transmission capacity, a new 56in diameter pipeline will be laid beside the existing pipeline. The new pipeline will originate from the Georgian border and will be reconnected to the existing pipeline after running for 56km. Other components of the project include a new block valve (BV) at kilometre point (KP) 27, a pigging station at KP56 (the point where the new pipeline will be reconnected to the existing line), two new compressor stations and a new pressure reduction and metering station (PRMS) at the Georgian-Turkish border. As of May 2012, the expansion project was in front-end engineering design (FEED) phase. The environmental and social impact assessment (ESIA) of the project has already been completed. Subject to the pending ESIA clearance, construction on the loop line is provisionally scheduled to start in the second quarter of 2014. The expanded pipeline is likely to be fully operational in the fourth quarter of 2017. Design and construction services for the SCP project were provided by URS, an engineering, design and construction company headquartered in San Francisco. All of the SCP pipes for Azerbaijan’s and Georgia’s sections were supplied by Sumitomo Corporation. Engineering and construction management was provided by CB&I. The Azeri section of the pipeline was built by Consolidated Contractors International Company (CCIC), while the section extending from Georgia to the Turkish border was laid by a joint venture of Spiecapag and Petrofac. Trans-Anatolian Pipeline (TAP), also known as the Samsun-Ceyhan Pipeline, is being laid in Turkey to transport oil from the Samsun terminal on the Black Sea to the Ceyhan terminal in the Mediterranean. Trans Adriatic Pipeline (TAP) is a proposed 800km long natural gas pipeline that will run from Greece to Italy, via Albania and the Adriatic Sea. The Baku-Supsa pipeline is one of many such projects that have sprung up in the region since the fall of Communism, when the massive natural resources of the Caspian region were opened to foreign investment for the first time.